Okay, this might be a stretch seeing as it’s late February and this is a tip about using rock salt to make your portable cooler lower in temperature. But a guy can dream about the hot summer months, can’t he? This tip is simple. If you add salt to ice it lowers the temperature of ice. It also melts the ice, creating a slurry of sorts. Many times this slurry is actually quite a bit colder than the freezing point. The slurry acts in two ways. One, it envelopes the contents of your cooler, covering more surface area. Second, it achieves an even lower temperature than ice alone. 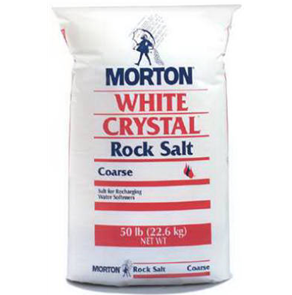 So the next time you think about prepping your cooler for a day fishing on the boat, get a decent size bag of rock salt and a little to your ice.